After a brief 24-hour delay, the latest update to Fortnite has been released….what’s different today? Nothing as dramatic as the moment Season 4 hit, but you’ll notice a couple things that weren’t there before…such as? One addition is a more diverse sound library, which basically means the footsteps of those around you will make different noises depending on what type of ground they’re stepping on. This will make it easier to determine where they’re lurking. 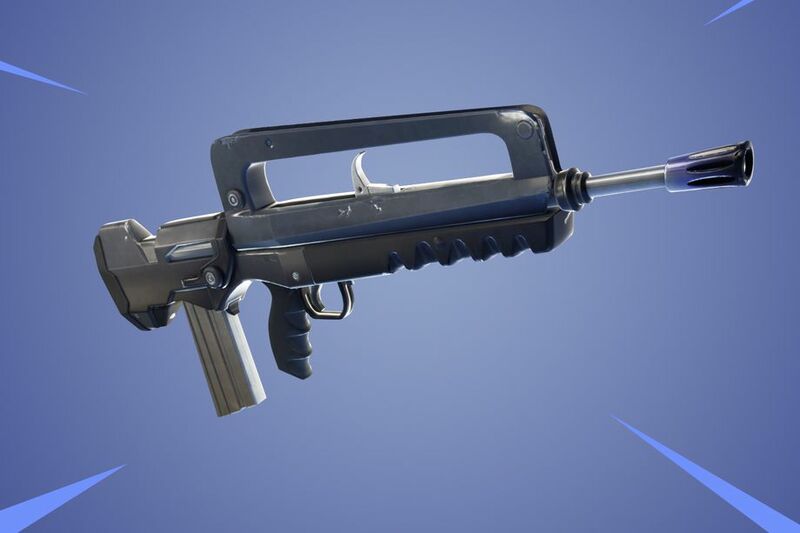 The Burst Assault Rifle now comes in Epic and Legendary forms — if you can find these versions, they dish out 32 / 33 damage (Epic former, Legendary latter). They use Medium ammo and have the same damage fall-off ranges as other guns of their type. And there are apples now! You’ll be able to find the fruit randomly among trees on the map, and each apple you eat will give you 5 HP. Not a lot, but it could make a difference in certain situations. Epic’s full patch notes have been reproduced below. Fixed an issue where players that previously didn’t receive rewards will now receive these rewards. Remote Explosives, Impulse Grenades, and Clingers no longer take up inventory space. Updated their description to reflect that they don’t persist outside of the mission. Critical Chance Schematic perks grant 10 / 15 / 20 / 25 / 30 Critical Rating. Fixed an issue where the area of effect component of the Dragon’s Fury launcher did not damage the environment. Fixed a problem where the option to expand shield in the Storm Shield UI menu became unusable with a controller.